Following the withdrawal of the United States from the Paris Climate Agreement and the abdication of responsibility at the federal level to address climate change, the action now moves to states, municipalities, businesses and individuals. Fortunately, there are a lot of exciting things happening right now in these arenas, which could go a long way toward filling the current leadership vacuum. This post will survey some of the efforts underway, with a focus on initiatives aimed at improving energy efficiency in buildings. 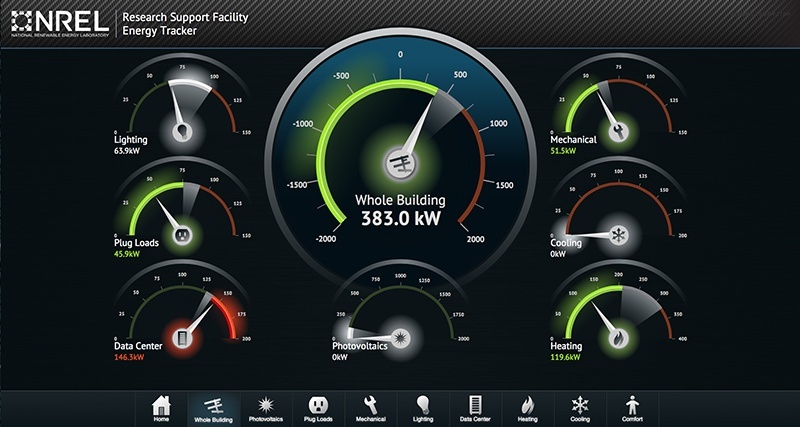 Building energy benchmarking can help make building owners and tenants aware of how their building’s energy performance compares with its peers, and can spur improvements. It turns out that merely being aware of how much energy a building uses can have a powerful impact, and that buildings that are benchmarked reduce their energy use by 7% over three years on average. 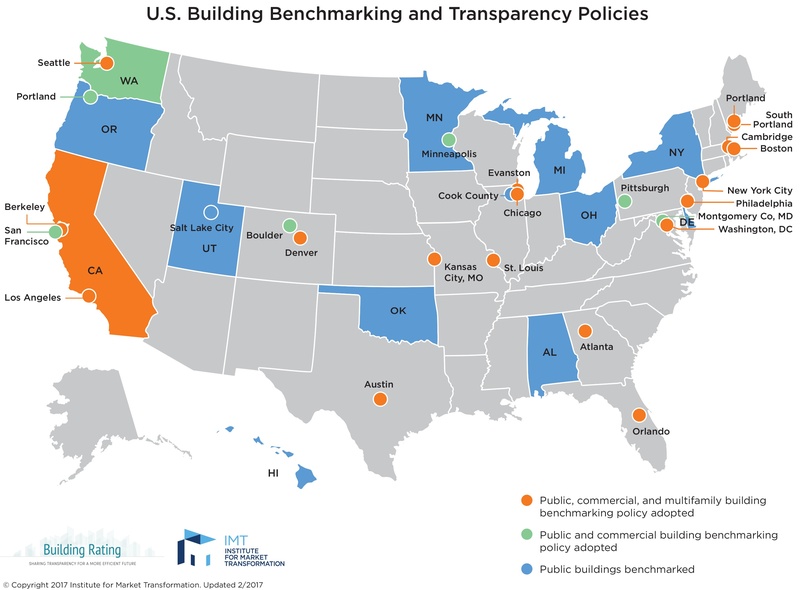 Several cities have adopted benchmarking and energy disclosure requirements, including New York City, Los Angeles, Chicago, Boston and San Francisco. I’ve been involved in benchmarking many buildings, and have seen firsthand how building owners and operators react when they first see their Energy Star score or other benchmarking metric. While some don’t really care either way, most will either take pride in a high score or be upset by a low score and want to know how they can improve. Raising energy awareness is a good starting point, but what about actually achieving results? There are many policies in place across the country that establish emissions reduction targets, similar to the Paris Accord. One example is New York State’s Reforming the Energy Vision (REV), which aims for a 40% reduction in statewide greenhouse gas emissions compared to 1990 levels by 2030. This will be accomplished through various avenues, including increasing renewable energy production, improving energy efficiency in buildings, modernizing energy infrastructure, and expanding transportation options such as plug-in electric vehicles and efficient mass transit. New York City’s Local Law 87 requires that all buildings over 50,000 square feet have an energy audit and retro-commissioning performed every 10 years. This goes well beyond benchmarking, and gives building owners actionable items to pursue with clear economic benefits. I’ve worked on several Local Law 87 projects, with varying levels of success. Some building owners see it as just another burdensome regulatory box to check and let the energy audit report gather dust in a drawer, while others are very engaged and will move to implement the recommendations. Closer to home here in Vermont, Burlington has joined the 2030 District network, a public-private partnership that seeks to achieve district wide building-related emissions reductions in accordance with the Architecture 2030 Challenge. 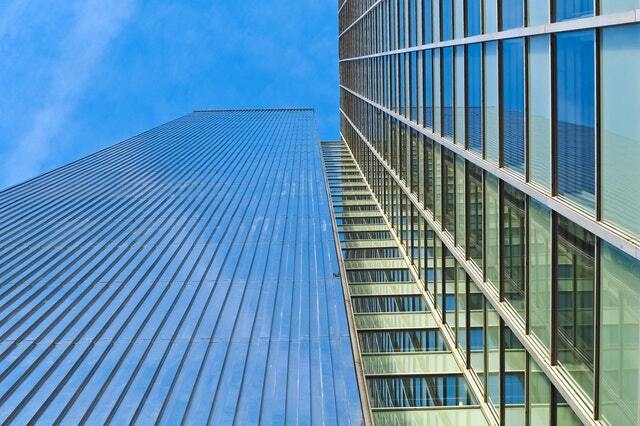 There are currently over 330 million square feet in the network nationwide. While it is unfortunate that the U.S. is no longer participating in the international climate change agreement, there are still plenty of reasons to be optimistic given all of the other various initiatives currently underway.